What Are Your Plans for National Girlfriends Day? Hint: You Should Make Some! National Girlfriends Day is right around the corner on August 1, and yes — it is a real thing. Have you made any plans to get together with your BFFs? Daytona Beach has endless fun activities for a girls’ night (and day) out, along with some of the most beautiful natural scenery you’ll encounter. So, why not plan a trip to the coast to spend the day getting out and about with your best girlfriends right here in Daytona Beach? 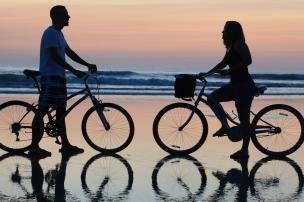 Kick-start the day by going for an early-morning bike ride together on the beach. 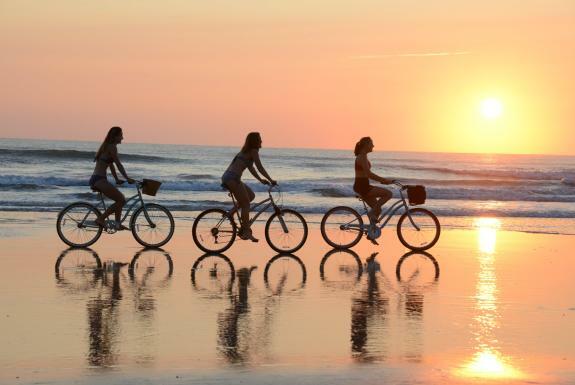 Soak in the sunrise with your best friends while enjoying a ride along some of Daytona Beach’s 23 miles of shoreline. 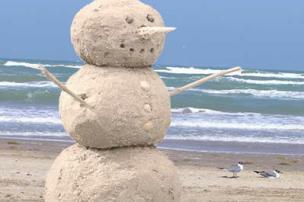 With such wide beaches, you won’t have any trouble having enough elbow room. There are a variety of local shops that will rent you a bike for the day, for several hours or for the whole week. And, many will even deliver the bikes directly to your hotel! Go for a girls’ group canoe cruise on the Tomoka River and see all of Daytona Beach’s natural beauty up close. Tomoka State Park makes it easy to rent canoes right on-site and offers a plethora of wildlife to discover. 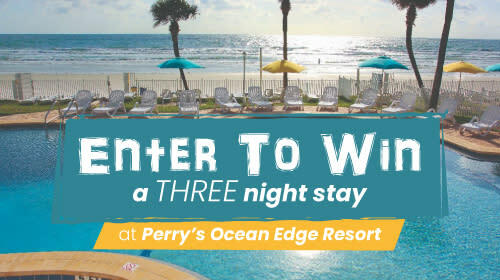 Or, make it a point to find the area’s top selfie spots together, and document your girls’ time in front of some of Daytona Beach’s most iconic landmarks. Snap a pic as you play Skee-Ball at the Daytona Beach Boardwalk; or venture to the Ponce Inlet Jetty for a scenic backdrop for your photo. More fun photo opps here. 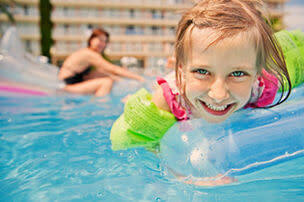 Daytona Beach has a wide array of boutique shops, outlet stores, name-brand stores and flea markets. 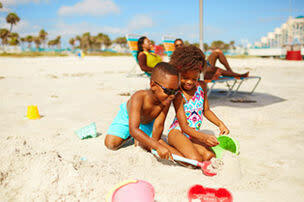 If you and your girlfriends enjoy the treasure hunt, you’ll all have a blast shopping in the Daytona Beach area. Who knows, you may even want to all grab matching outfits to remember the occasion! All of that adventuring and exploring can tucker you out! If you’re all over 21, discover the hops and high notes of the Daytona Beach Ale Trail. Venturing from brewery to brewery and sipping flights of craft beer as you go is a unique and fun way to experience the true flavor of Florida. Do you and your girls prefer the vino? Head to one of the area’s many wine bars to sample the fruit of the vine.Either way, make sure you call a cab or Great Tasting Tours so that you all can partake in the fun! Avoid the dreaded, “What do we want for dinner?” debacle with your girlfriends, and instead treat yourselves to dinner at one of the city’s most elegant restaurants. Perhaps you can all sample a pasta bowl or lamb dish at The Cellar, an award-winning fine Italian restaurant cozily tucked in the former home of U.S. President Warren G. Harding. 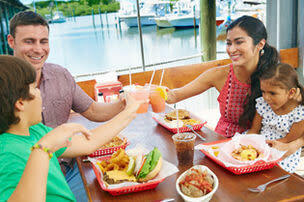 Or, maybe you savor fresh seafood with a waterfront view, like those offered at Chart House and River Grille on the Tomoka - https://www.daytonabeach.com/listings/river-grille-on-the-tomoka/1250/ After all, you and your BFFs deserve some pampering — and there are few better people to share a fancy meal with than your best girlfriends! If your sweet tooth starts to get the better of you and your crew, go for a scoop of homemade ice cream at Gold Leaf Coffee Company. Their unique selections of ice cream will be the cherry on top of a perfect day spent together! If you all crave an after-dinner treat that packs a little bit more of a punch, go for a nightcap at the at 31 Supper Club. Sit inside and marvel at the speakeasy atmosphere and artisan cocktails; or, opt for the outdoor patio bar for a serene drink under a canopy of stars. From relaxing and pampering girls’ spa experiences to catching some of the area’s signature attractions, Daytona Beach offers a range of ways to enjoy National Girlfriends Day with your BFFs. Give yourselves the gift of quality girls’ time together in a destination where you can all get away from the routine and celebrate your friendship — start planning your trip today!